I spent a few days in Canaan Valley recently and, as all who frequent that unique and spectacular mountain getaway know, mother nature usually puts on quite a show, particularly in spring. Bored with the weather? Wait five minutes and watch it change. And, like other mountain communities around our wild and wonderful state, spring ushers forth bountiful quantities of allium tricoccum or as they are more commonly known: ramps. Yes, that odiferous wild lily pops up through the earth in early spring and is both adored and despised by disparate groups of people who find themselves within sniffing distance of the controversial plant. Count me among those who wait impatiently for the little buggers to peek through the ground. For a month, I checked my special ramp patch for the green shoots (resembling the leaves on scallions) that signal their arrival. Finally they appeared and I spent an hour digging them out – one by one – until I had what we refer to as a “mess” of ramps. 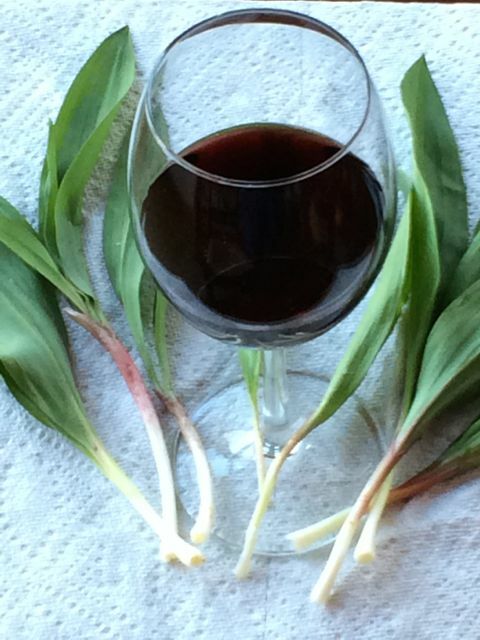 Like some of my other controversial predilections, my fondness for ramps does not endear me to my significant other. Their smell, when raw, can be eye wateringly painful to more delicate creatures. However, like garlic and onions, the pungency of ramps is greatly diminished when they are cooked. This time of year, just about every town in our state features a ramp feed at which people are introduced (many for the first time) to over-ripe and under-cooked ramps. 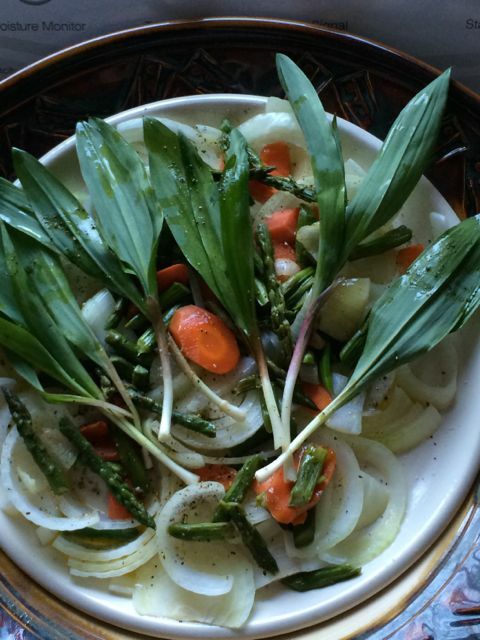 After experiencing the culinary massacre of ramps by those who fry them in lard or bacon grease and add them to potatoes or (worse) pinto beans, many people leave the events belching and flatulent, vowing never to get within a country mile of a ramp. 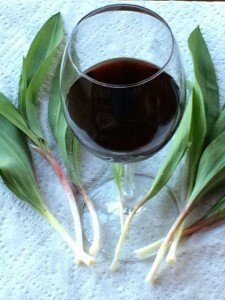 Today, I am going to provide you with two recipes for ramps that may well give you the courage to try them. The first is a delicious ramp and pasta dish I call Ramps and Bow Ties. The second is to simply and quickly grill them (no more than three minutes) and then pair them to grilled meats or veggies. By the way, I have purchased ramps at the Purple Onion store at Capitol Market in Charleston. Do a Google search and I’m sure you will find purveyors in your area. Oh, surprise – I’m also going to give you a couple wine suggestions that will enhance the dishes. 2012 St. Supery Virtu Meritage ($32) is a great pairing with this pasta/ramp concoction and lends a refreshing and herbal element to the dish. This blend of sauvignon blanc and Semillon also has the texture and depth to stand up to and enhance the aggressive flavors of the sauce. It is also a great match with the ramp and grilled vegetables dish pictured above. 2011 Dolcetto d’Alba Sori Paitin ($19) This northern Italian red is exceptionally fruit forward with dark cherry flavors, yet it is medium to full bodied. The wine marries nicely with the ramp pasta. It would also do well as an accompaniment to barbecued pork or beef that is flanked by grilled ramps brushed with olive oil and balsamic vinegar.